Just a super quick post today. 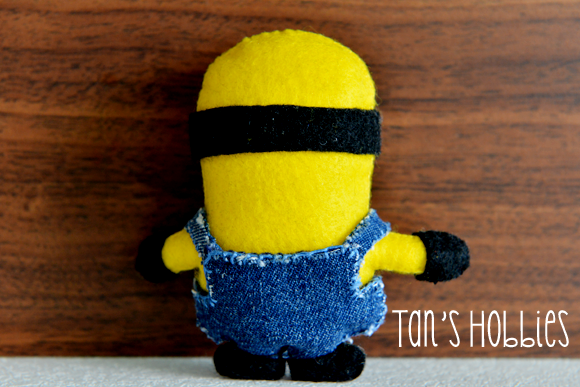 Please let me share my "fresh from the oven" felt minion doll. I just realize that I missed out his hair, haitz!!! Totally Gorjuss: Challenge 192 - Sweet! 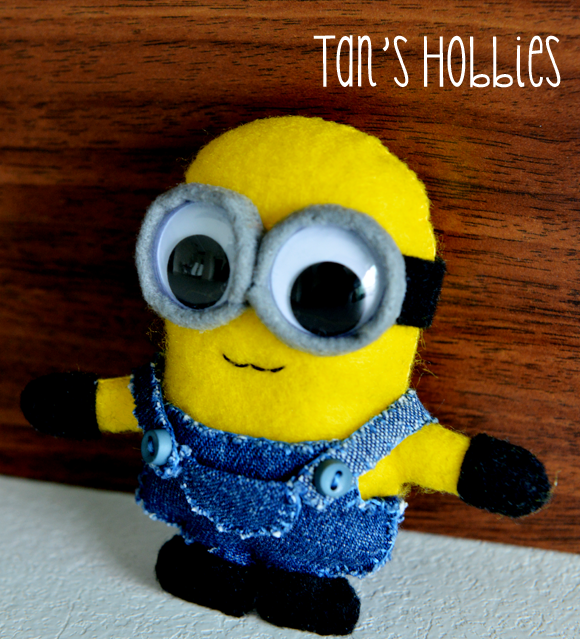 Hello Tan..he's just so cute...love his dungarees..
What a cute little creature.He is adorable,even without hair. OMG!! I LOVE this!! Super DUPER cute! Tan OMG this is so awesome!!! I LOVE it!! This really made me smile!! Have you seen the movie? It was good :) Thanks for sharing with us and playing in our neighborhood at 613 Avenue Create! What a fab project Tan, thank you for joining us over at LCC. This is just too cute! Love minions! Hello my flower, he/ she is sooooo adorable !!! (^.^)v"
Love his CUTE classes, and jeans wear !!! His back style silhouette is also CUTE, made me smile !!! I love ALL your creation, and especially LOVE your creation with FELT !!! Thank you for sharing, dear... (^o^)/"""
Super cute project and such a fun gift. Thanks for joining our challenge over at Docerela Creations! OMG this little guy is super cute! He is perfect for our challenge at Totally Gorjuss this week - thanks for joining in and good luck! Great project. Always so happy to see everyone having fun in crafting. Thanks for sharing at Anything Goes this time..
You should post a video of how to make this adorable minion and make one of the purple minions from despicable me!! !